If you’re looking for a fun date night restaurant or just a laid-back spot to grab some delicious eats, Bothell has got you covered! 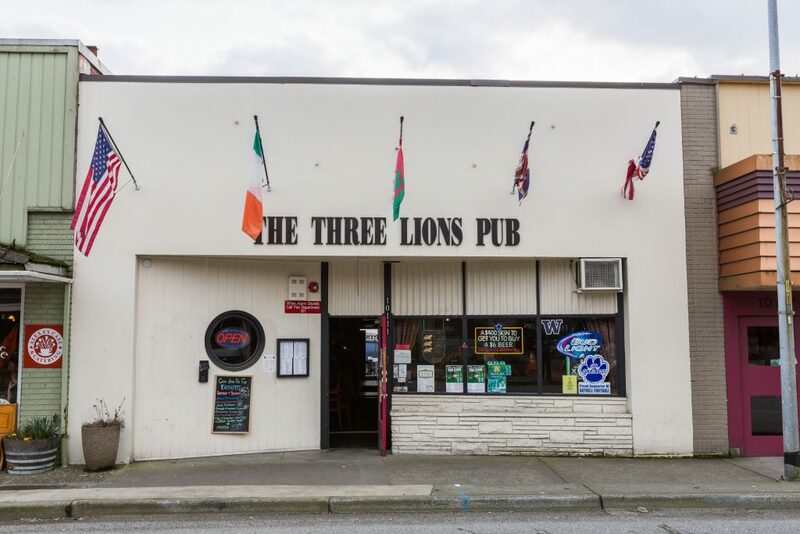 Home to several dining establishments with mouthwatering menus and some excellent happy hours, Bothell has everything from sushi and Italian to pubs and American breakfasts. 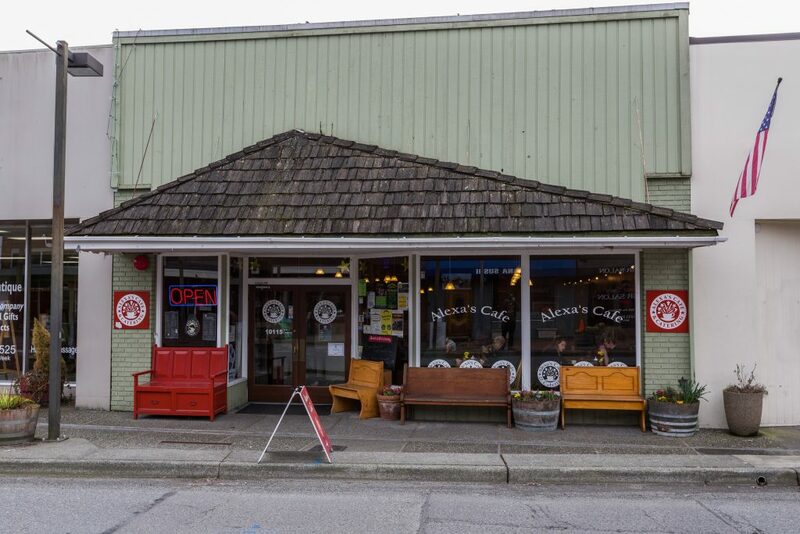 Nestled in a charming 1927-built brick building, Alexa’s Cafe is a neighborhood staple! “We love Alexa’s on main street!” shares Jan Taylor recommends the sweet spot for brunch. Their extensive breakfast menu is filled with classics like breakfast sandwiches, “bennys,” pancakes and French toast, and scrambles, and their lunch menu is a mouthwatering selection of sandwiches, soups, salads, burgers, wraps, and much more. Need catering for your event? Jan Taylor recommends checking out Alexa’s catering options whether you’re catering a business lunch or a wedding rehearsal dinner. 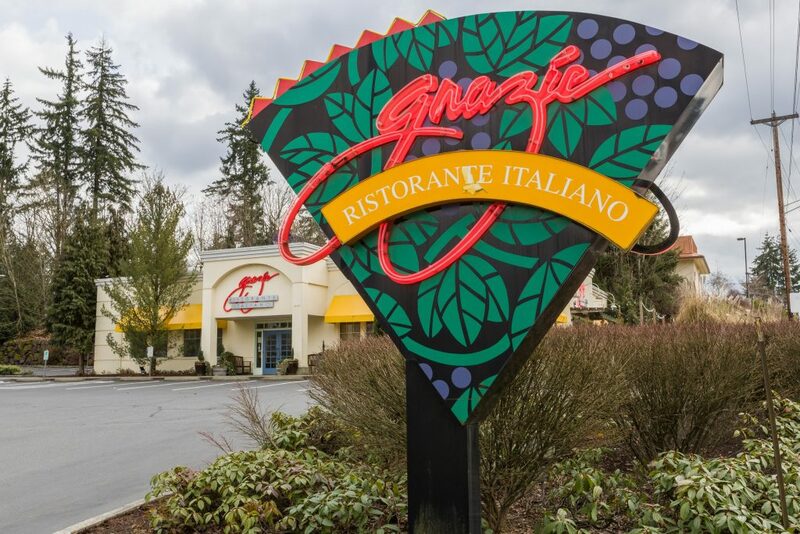 If you’re craving Italian, Jan Taylor recommends heading to Grazie Ristorante for pizza, lasagna, cannelloni, and other Italian specialties. “[Grazie’s serves] great dinners with an extensive wine list and happy hour with live music weekly!” says Jan Taylor. Enjoy daily happy hours from opening to 6pm and take advantage of half-price appetizers, wine, beer, and drink specials. As Becky mentioned, Grazie also hosts live music, and you can view their schedule of events here. “We LOVE Uncle Peteza’s Pizzeria!” shares Jan Taylor. “They have two locations—one on 228th and Meridian, and one in the Safeway Plaza off of 241st and Bothell Everett Hwy. They have been around quite awhile, but discovered them when my daughter had her first high school job there. I like their business model of hiring and training many local kids for the first exposure to the work world. Their crust is the best! They have deep dish, thin crust, and, wait for it – STUFFED CRUST! Uncle Peteza’s Pizzeria’s incredible pizza selection is sure to make everyone in your dining party happy! They also have gluten-free pizza, soup, bottomless soda, and a convenient rewards program. “Sushi Hana, a conveyor belt sushi restaurant at Thrasher’s Corner, is one of our favorites. When you don’t want to cook and the kids are starving and you don’t want to wait to order at a sit-down restaurant, this speedy sushi joint is the ticket! Large booths for groups of 6 or bar stools at the belt offer lots of seating. Always great service and good quality sushi,” a local resident shares. Sushi Hana is truly dedicated to quality—their conveyor belt-style sushi utilizes RFID technology to monitor the dishes on their conveyor belt, and no dish is allowed to be in circulation for more than 2 hours. Sushi Hana serves up dozens of dishes, from classic nigiri to more unique sushi rolls. “In addition to traditional sushi, they have small plates of strawberries, green grapes, and Mochi ice cream for dessert! They also serve bottled sake, beer and wine,” shares Jan. I recommend taking a look at their menu here! “Lion’s Pub on main is always good for watching sports and enjoying beers and pub food,” advises Jan Taylor. And when Jan says “pub food,” she really means it—Lion’s Pub serves up classic English pub dishes like classic fish & chips, Lancashire Pasty, sausage rolls, steak & mushroom pie, steak & kidney pie, bangers & mash, Shepherd’s Pie, and much more! Plus, enjoy happy hours every weekday from 4-6pm and on weekends from 3-6pm. Take advantage of their deals on well drinks, wine, draft beer, and cider. Jan Taylor loves Amaro Bistro for their great meals, awesome happy hour, and the fact that it’s a great place to celebrate a special occasion. Brunch, lunch, dinner, dessert, drinks and more are all served at this popular Italian bistro, and their extensive wine menu is truly impressive. Plus, Amaro is also family-friendly and has a special kid’s menu. Enjoy daily happy hour deals from 3pm-6pm and 10pm to midnight, and take advantage of their lunch special of 2 courses for $16! Highly recommended by Jan Taylor, Preservation Kitchen offers an exquisite seasonal menu. They’re dedicated to supporting local businesses, and they use sustainable and organic ingredients whenever they can. Tonya a local resident especially recommends their amazing polenta fries and their good wine selection, but menus change based on the season, so check out their website every now and then! I also highly recommend their happy hour. From 2-6pm daily, enjoy a large selection of appetizers, $7 cocktails, and discounts on beer and wine. See the complete happy hour menu here. Don’t miss stopping by the Yakima Fruit Stand for fresh fruit, veggies, and Christmas trees!